Home Drinks Tea Are Black and White Teas Healthy for You? Here’s a good question for you early morning hot beverage drinkers, which drink is better for your health, tea or coffee? Although both of these drinks are superfoods in their own right, each of them has distinct advantages over the other. Tea has been used for many centuries in Asia, in particular India and China where the Camellia sinensis plant which is the basis for most tea is native. Coffee has been the preferred beverage of the Western world, originating in the cocoa dense areas of Southern and Central America. In recent years though, teas have become very popular in the West, where many people now prefer tea to coffee, which can in some instances be an acquired taste of sorts. Although there is a growing popularity in the drinking of different types of tea, few people realize that not all teas do the same thing. There are 4 different types of tea that can be made from the leaves of the Camellia sinensis plant; they are black tea, white tea, green tea and oolong tea. Due to the different levels of processing involved in producing these teas, it can cause them to retain or gain features not characteristic of the others. ● Green Tea– This is becoming one of the most popular varieties of tea, it is normally made by steaming the leaves of the plant. It has a high concentration of EGCG, a polyphenol compound which has been studied extensively for its potential to help people lose weight, prevent aging, and more. Studies have also indicated that green tea may reduce the risk of certain cancers and even heart disease. ● Oolong Tea– Made from either oxidation or fermentation of the leaves of the Camellia sinensis plant, oolong tea is believed to have the best potential for reducing cholesterol levels and improving heart health. That was just to give you a quick and brief look at green and oolong tea, as they were also mentioned above alongside the black and white tea. But, the main topic of this article is the difference in the much overlooked health benefits of black and white tea. To make black tea, the leaves are allowed to naturally dry and wither; they are then crushed, which ends up going into the packets that you find in the shops to buy. It is currently the most commonly consumed variety in the Western world, since it is widely available and has an enjoyable taste. Black tea is also considered to be an oxidized type of tea because after the leaves are crushed they are allowed to turn black by the process of oxidation. ● Boosts Focus and Energy Levels– Black tea contains a higher amount of caffeine per cup than the other teas, ranging from 40-60 mg per cup. This makes it great for a morning pick-me-up when a cup of coffee isn’t for you. ● Helps Reduce Cholesterol Levels– Though Oolong tea has the strongest cholesterol reducing claims, black tea comes in at a strong second place. When consumed daily, along with a sensible diet, it can help towards keeping cholesterol levels in check. ● Acts as a Diarrhea Preventative– Black tea is rich in tannins, which are phytochemicals that help slow down intestinal motility and reduce the symptom of loose stools. ● Helps Treat Respiratory Conditions– Thanks to the presence of caffeine and other methlyxanthines (such as theophylline and theobromine), black tea is useful in relaxing the airways, thus allowing for easier breathing. Out of our four different types of tea, white tea is the least processed. Due to this, when people have it for the first time they can get a bit puzzled and wonder if they are really having a cup of tea, or if they are drinking mildly flavoured water. ● It’s an Antioxidant Powerhouse– Due to the absence of significant processing white teas retain most of their natural antioxidants. For this reason people believe that white tea is useful in cancer prevention. 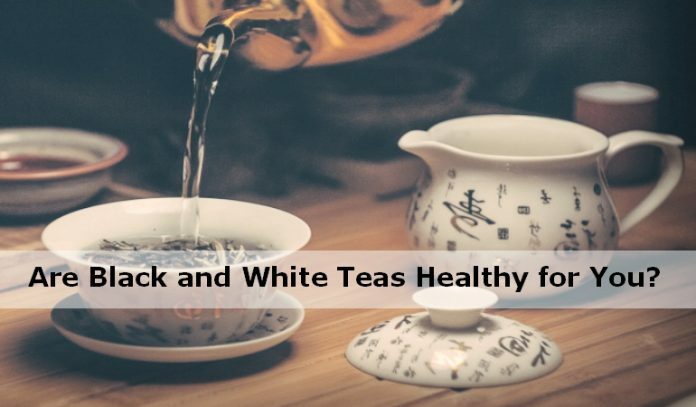 ● Potent Anti-Microbial Properties– White tea has stronger anti-microbial effects that green tea and is able to inhibit the growth of bacteria, fungi, and viruses. It is also used to prevent the growth of oral bacteria and fungi, thereby effectively helping to treat periodontal diseases. ● Promotes Heart Health– It can help reduce cholesterol levels, thin the blood, and enhance blood vessel function. It also improves blood pressure levels. So there you have it, though the teas all come from the same place originally, it’s quite amazing that different benefits that can be derived from them just through processing them differently. You can read more about teas here on Epigen Nutrition, just by putting what you are looking for in our search box.